The doll is a seemingly naive object we often associate with child’s play, however this exhibition focuses on the doll as an object symbolically used in artistic practice. The artists featured in this exhibition utilise doll-like objects to create a narrative or story which explores deeper underlying issues associated with identity, culture and politics. I am thrilled to be part of this show curated by Chriss Doherty-McGregor and Natalie Friend. The other artists showing in this exhibition are Yvonne Todd, Charolette Graham, Peter Peryer, Ans Westra, Tanya Marriott, Rosemary McLeod, Malcolm Harrison, Lauren Lysaght, Andrea Gardner, Ann Verdcourt, Helen Back, Juliet Novena Sorrel, Bruce Connew, Saffron Te Ratana and Vita Cochran. There is plenty of time to check it out, so if you are in Wellington make sure you get along. 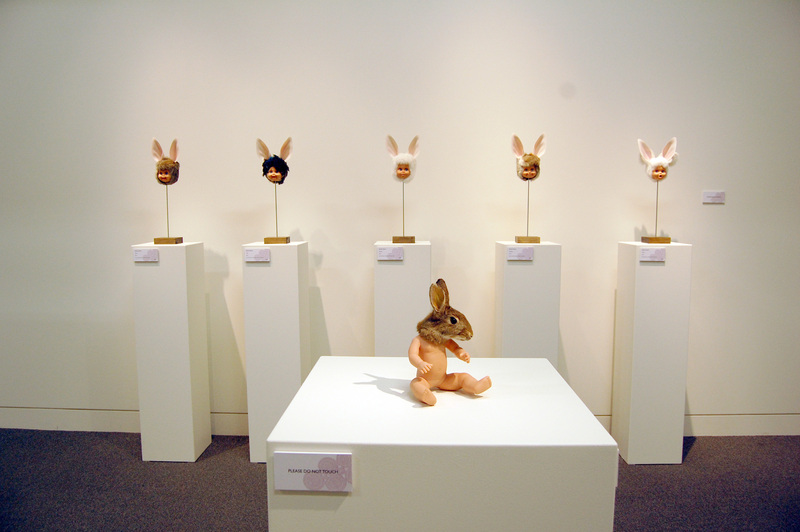 This entry was posted in Exhibitions, Other Exhibitions, Taxidermy and tagged Karley Feaver, Karley Feaver artist, Karley Feaver exhibition, sculpture, taxidermy. Bookmark the permalink.